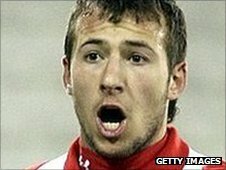 Reading have signed striker Adam Le Fondre from League Two Rotherham for an undisclosed fee. The deal is believed to be worth around £350,000, with further additions based on performance and the possibility of promotion to the Premier League. West Ham, Coventry City and Sheffield Wednesday were also interested in the 24-year-old. Le Fondre scored 24 goals in 49 games last season and has already netted four goals in five matches this campaign.